Sen Mazie Hironon. Courtesy photo. “One year into his presidency, Donald Trump has yet to nominate an ambassador to South Korea — one of our closest allies in a volatile region of the world. “That the White House is no longer considering Victor Cha’s nomination over his legitimate concerns about preemptive military strikes against North Korea is deeply troubling and undermines ongoing diplomatic efforts to deescalate tensions. 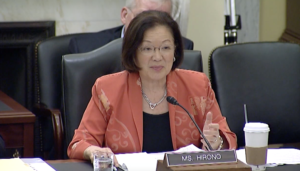 In a Senate Armed Services Committee hearing on Tuesday, Jan. 20, 2018, Sen. Hirono questioned experts on the Korean Peninsula on the importance of filling the ambassadorship. 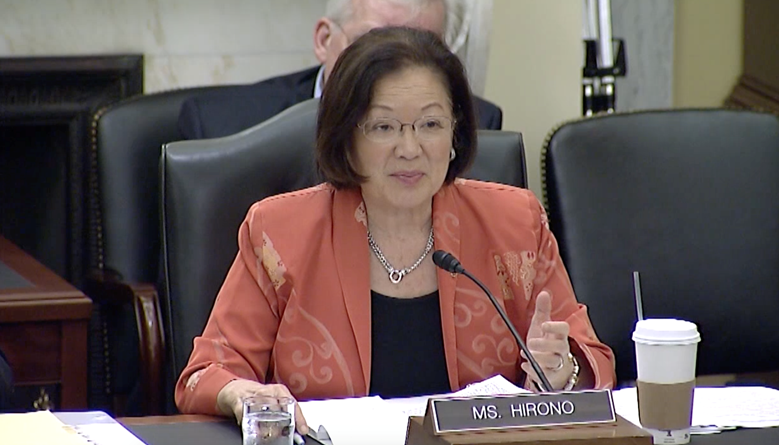 Last year, Sen. Hirono wrote to the President to urge him to fill the ambassadorship, and several other positions that are critical to finding a diplomatic solution to deescalate tensions with North Korea.